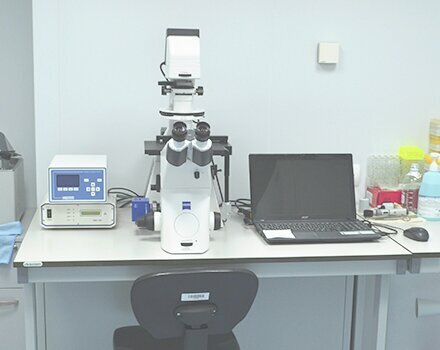 The Cell Cultures and Tissue Engineering Laboratory is one of the few laboratories in Ukraine that allows you to receive different types of adult cells and tissue and engineering materials. 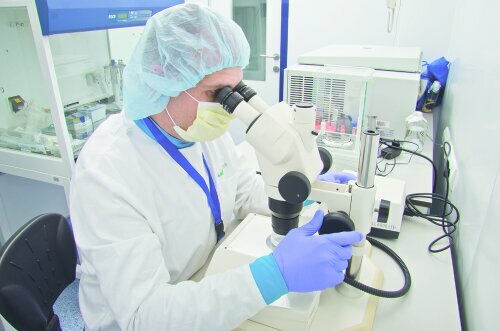 Laboratory staff tirelessly improves its skills and conduct scientific research. 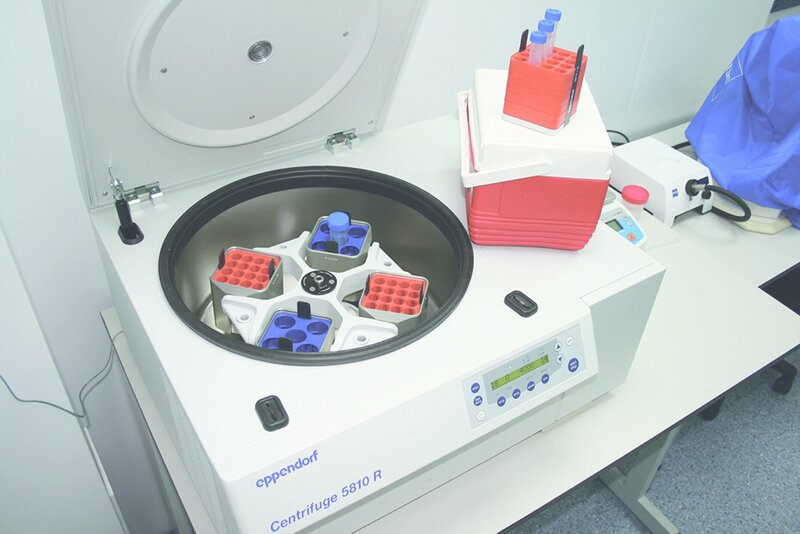 Cell Cultures and Tissue Engineering Laboratory consists of sterile and conditionally sterile zones, warehouse premises, sinks and laundry facilities. 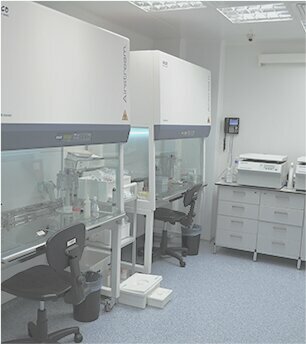 The creation of a sterile zone in the laboratory is possible due to the means for controlling the parameters of the air (including temperature, humidity and filtration), in accordance with the processed products, operations and the environment, two rooms for gowning (the first one for dressing in outer suit and shoes, the second one – for putting on internal sterile suits, gloves, mask, laboratory shoes, and wiping hands with antiseptics); all areas are available for cleaning. 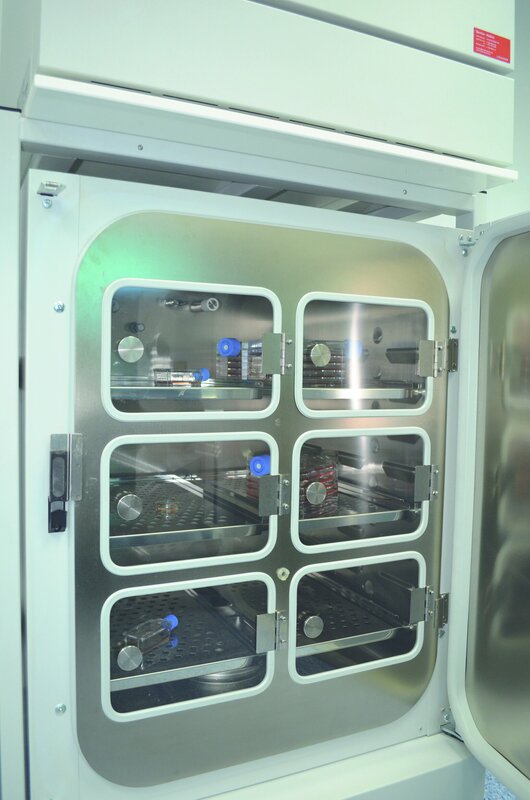 In addition, in the laboratory there are boxes with laminar flow of air for laboratory manipulations, CO2 incubators for cultivating human cells, centrifuges, microscopes, water baths, rockers, all necessary reagents, mixtures and mediums, disposable laboratory utensils, etc. 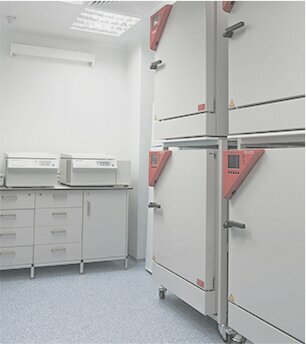 There are also shower cabins and bathtubs in the laboratory area. 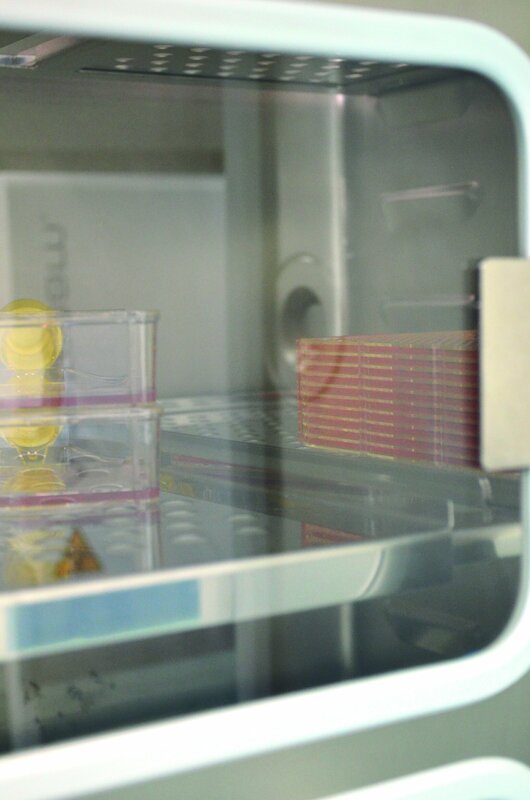 The Cell Cultures and Tissue Engineering Laboratory allows you to receive different types of adult cells in any required amount. 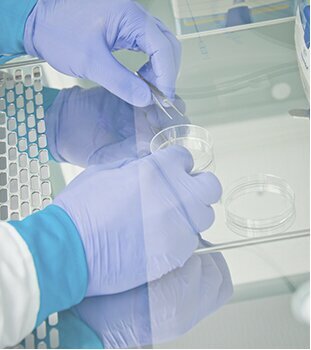 Typically, the cultivation of cell material for treatment takes from a few weeks to 2 months. 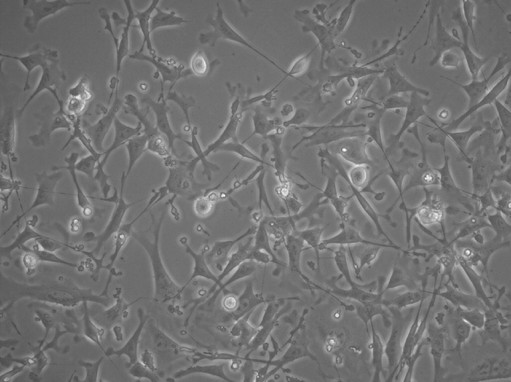 Stem cells – neural crest-derived from human hair follicles (NC-MSCs). 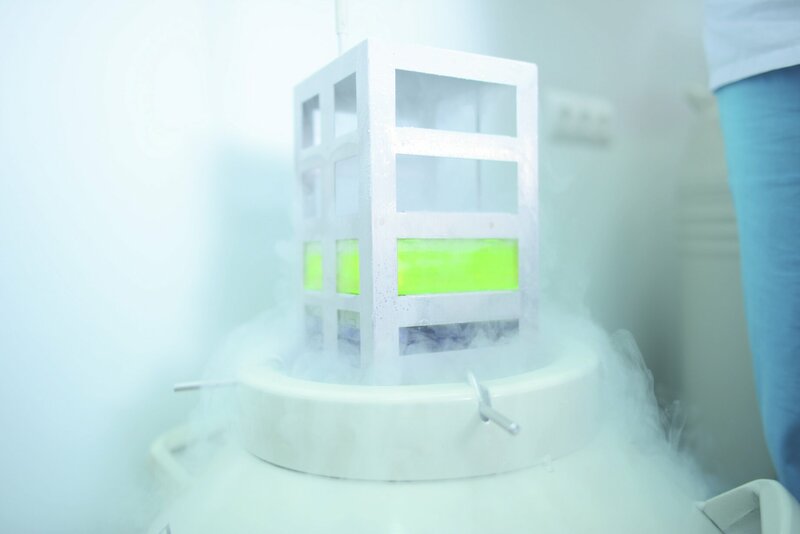 The Cell Cultures And Tissue Engineering Laboratory’s Staff constantly conducts scientific experiments, works on the improvement of methods of isolation, identification and cultivation of adult cells, determines the optimum conditions for viability, development and reproduction of human cells. 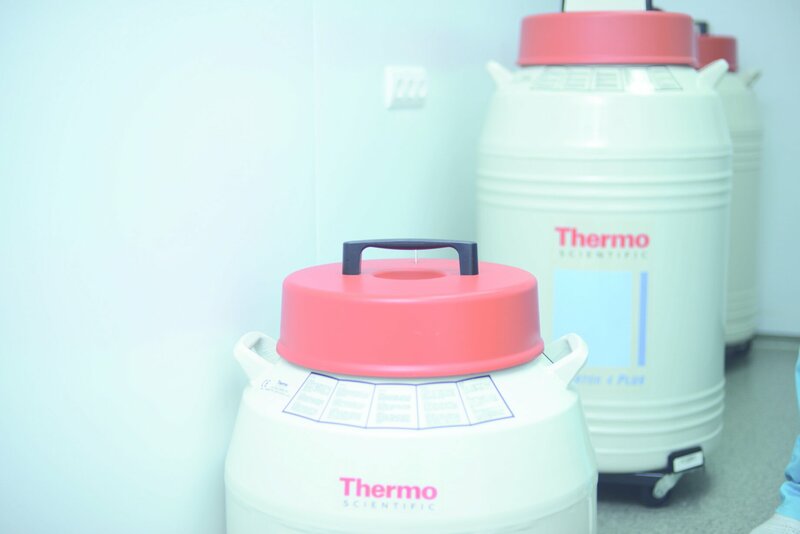 An experimental study of the therapeutic potential of postnatal multipotent stem cells – neural crest derivatives (MSC-NCD) has been carried out. The purpose of the study was to determine the therapeutic potential of MSC-NCD on the experimental models of injuries to skull bones and central and peripheral nervous system. 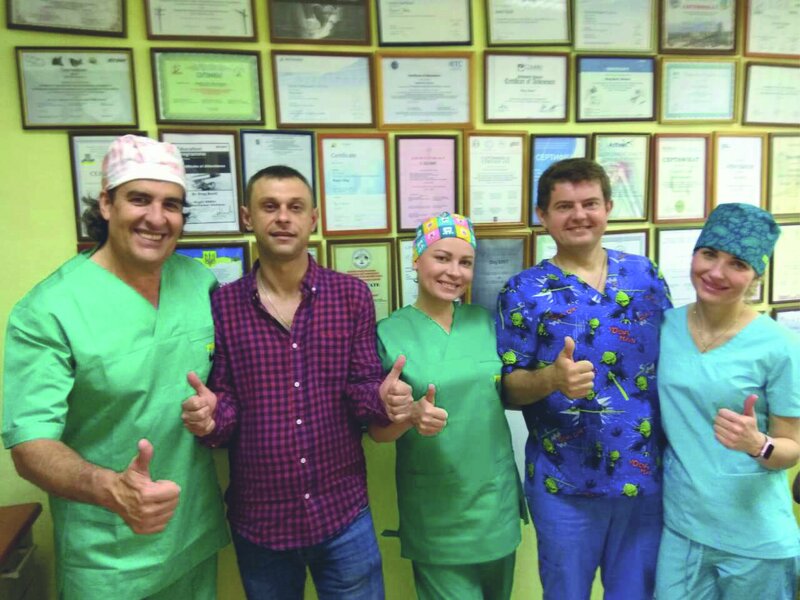 Upon completing the study, it was concluded that MSC-NCD have a great potential for use in regenerative medicine in the field of neurosurgery and neuro-rehabilitation due to the ability to multiline differentiation with subsequent structural integration and significant trophic paracrine effect.